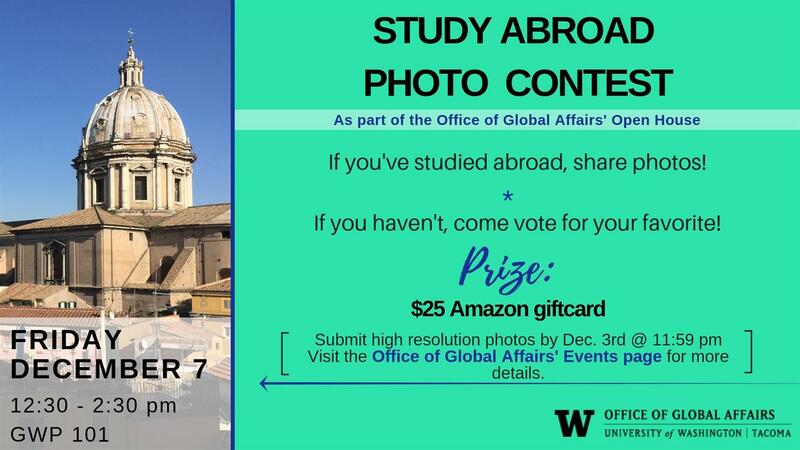 Friday, Dec. 7, 2018, 12:30 – 2:30 p.m.
As part of the OGA Open House, join us to cast your vote for your favorite study abroad photo! Find out where UWT students have studied abroad and start to get inspired for your own study abroad experience. The winner will receive a $25 Amazon gift card!